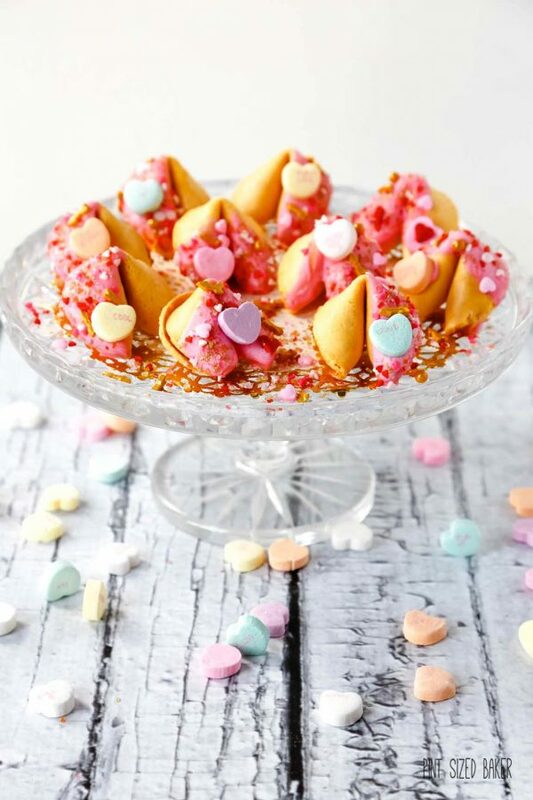 Let someone know how much you love them with these fun Valentine Fortune Cookies. 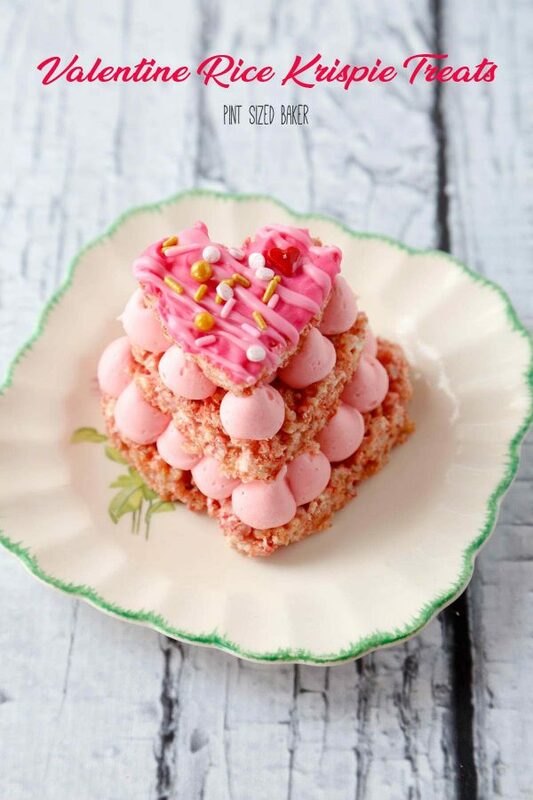 So easy, that the kids can make them for their friends! Love is in the air, but time is fleeting! There’s no time to get it all done these days and it seems like social media is making each holiday more and more extravagant. That’s why I love simple and quick desserts that make a big impact! 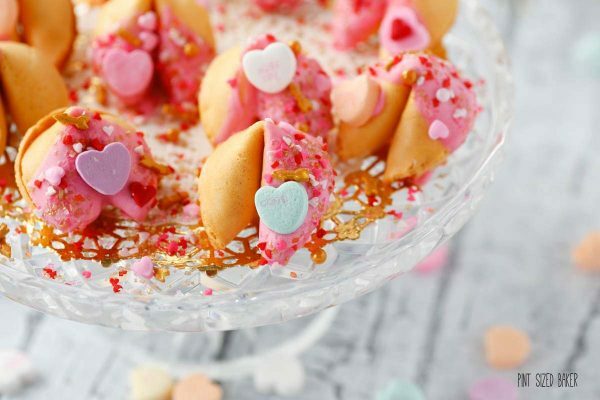 These Valentine Fortune Cookies are just what you need to have something special for the big day and won’t take forever to get made. Believe it or not, I saw something very similar to this for sale on Amazon. 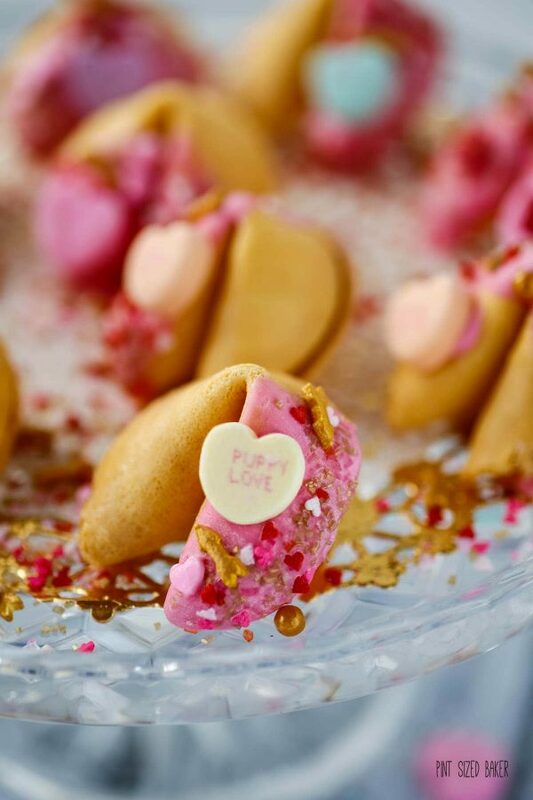 They had candy dipped fortune cookies with heart sprinkles selling for $28 for a dozen! You can make these at home for a fraction of the price. And yours will be way better because you made them yourself! 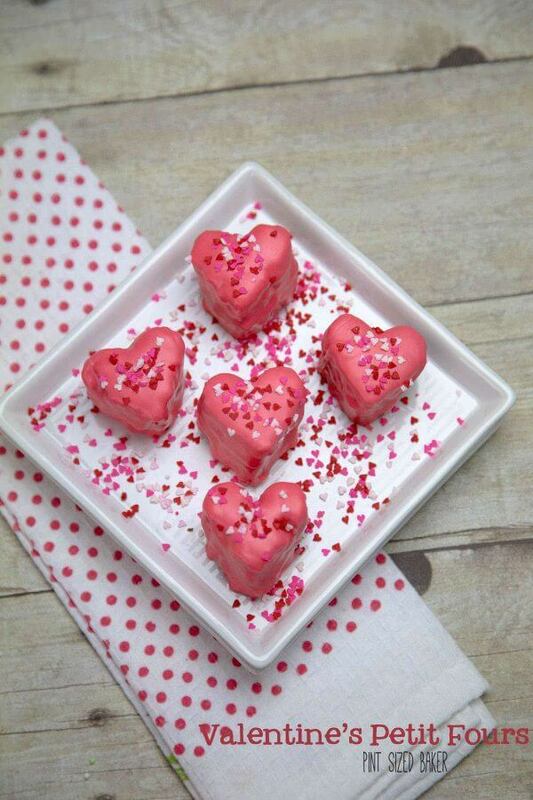 I know that there has been a widespread story about there not being any not being any conversation hearts for sale in 2019. The fact is that the company Necco has gone out of business. 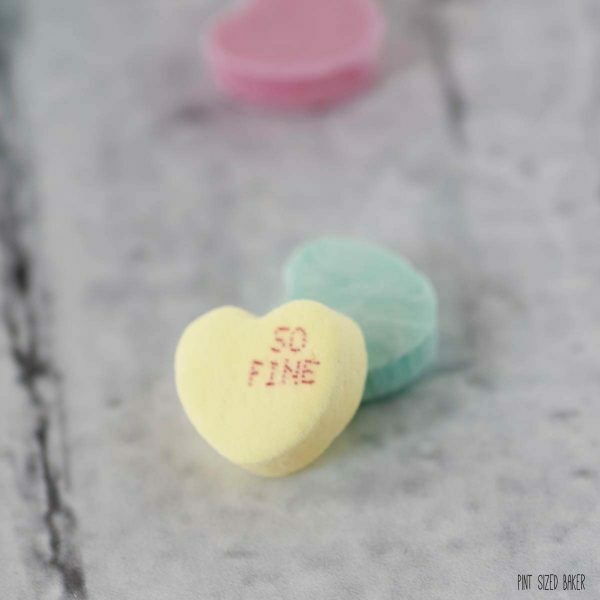 Necco was making SweetHearts conversation hearts and they are no longer making them. It’s a good thing that they will be back in 2020! Brachs is making conversation hearts, however, I don’t think that the quality of the writing is up to par. Their lettering is off, you can’t read the red type against the pink and purple hearts, the letters are missing for half of them. I opened up five boxes to find 12 nice hearts that you could read. Even then, I turned over the pink and purple hearts because you just couldn’t make out what they said. 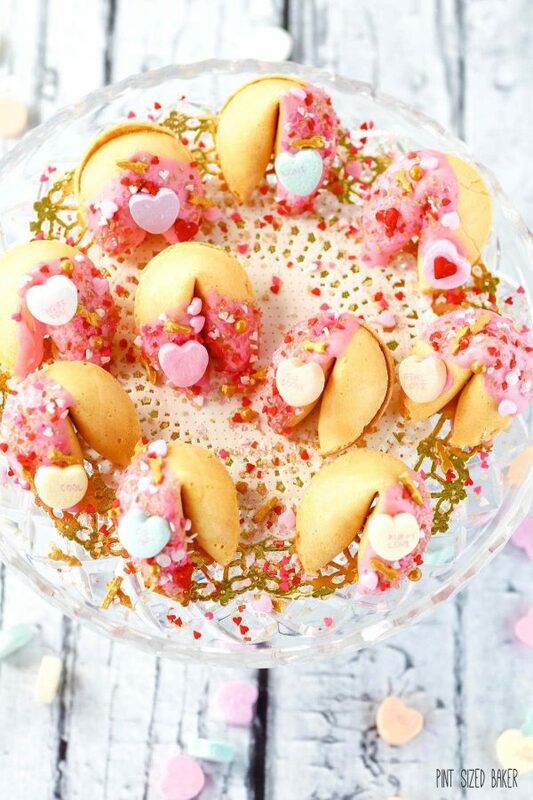 Unwrap all the fortune cookies. There should be about 18 in the box. Discard (eat right away) any that are broken. Prepare a cookie sheet lined with waxed paper. 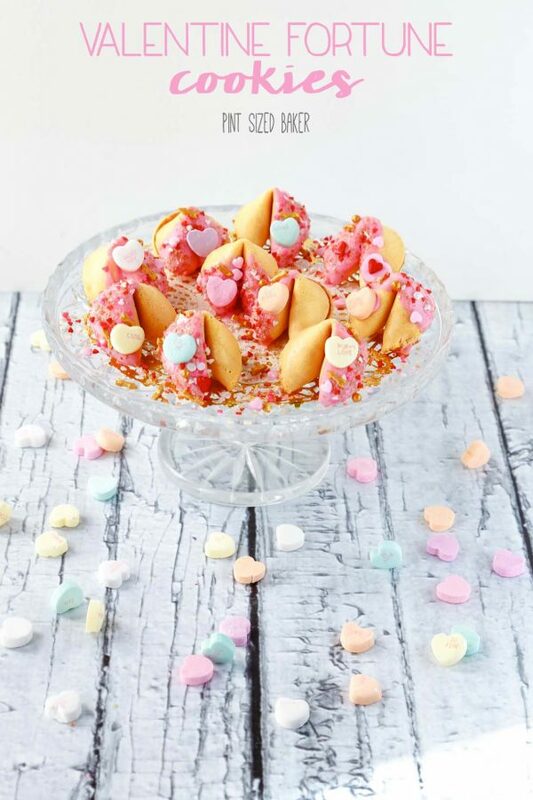 Melt your candy melts in the microwave. Stir until smooth. 70% power for 90 seconds should be enough. 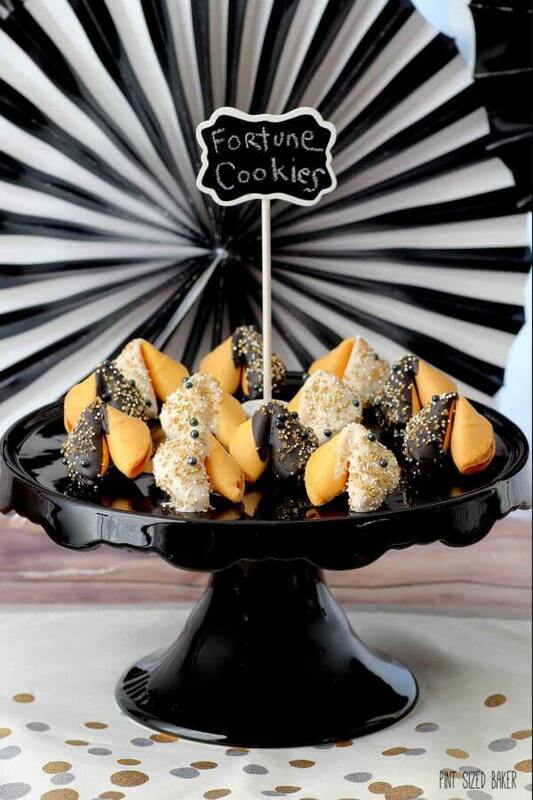 Carefully dip an edge of the fortune cookie into the candy and scrape off any excess. Place on to the prepared cookie sheet and add any sprinkles and a conversation heart. Allow to dry for 10 minutes before serving. Keep stored in a zip top baggie for up to 3 days.